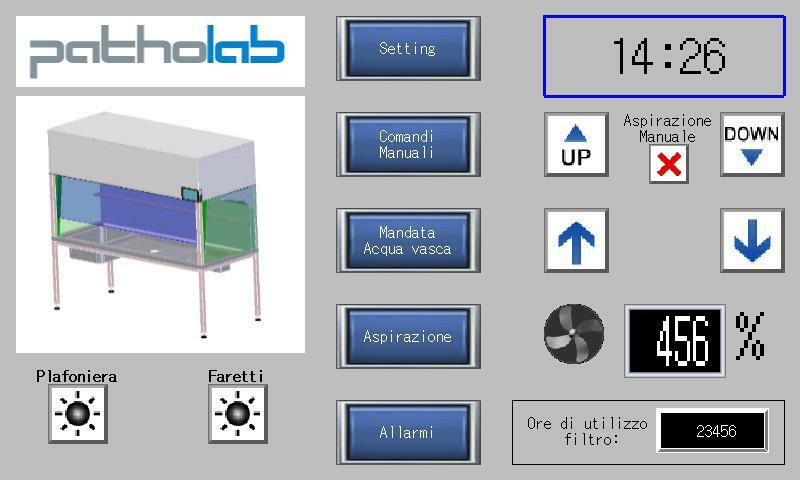 Histopathology fume hood Patho Histo is a system designed to limit the exposure of health worker to chemical risks and to protect from biological risks. It is made for the safe containment within it of any toxic vapors emanated during the handling and processing of cyto-histological specimens. On request it is possible to install: a sink with a water spout and mixer tap; an opening to insert a container for hazardous waste; a removable shower for cleaning the entire work station.